I met Action for Children volunteers at The Croxley Revels. We also visited a coffee morning at Croxley Green Methodist Church last Saturday. The Head office is just over the border in Watford. 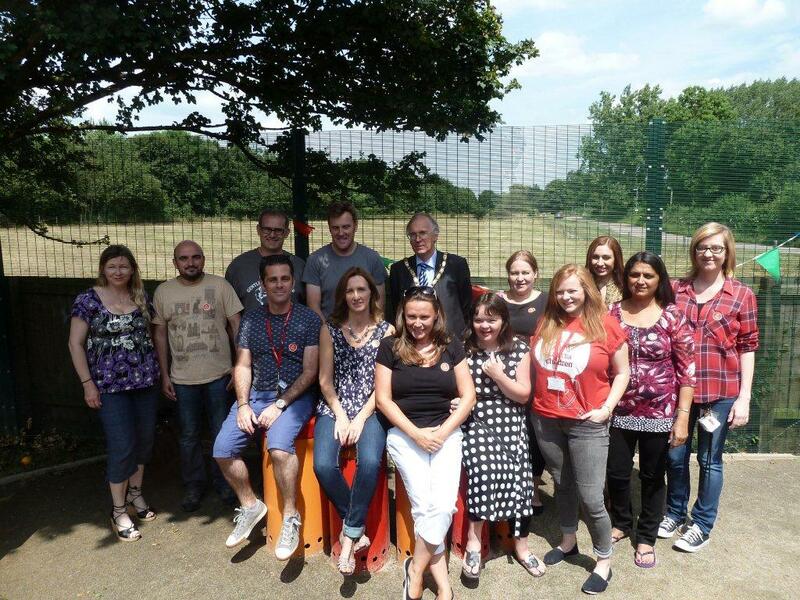 The Shotbreaks centre in West Hyde has been open for 3 years. Action for Children were celebrating 145 years. I was asked to cut the cake at the party for children, parents and staff. The work they do is amazing . We must go back and visit them again. They are commissioned by Herts County Council. They also run a centre in Hertford. As well as full time staff , volunteers are welcome to go and join them. In our short visit to Shortbreaks we could see it was a great place to work and with caring staff an amazing place for young people to come too. Well done Herts County Council and Action for Children for an excellent working partnership. 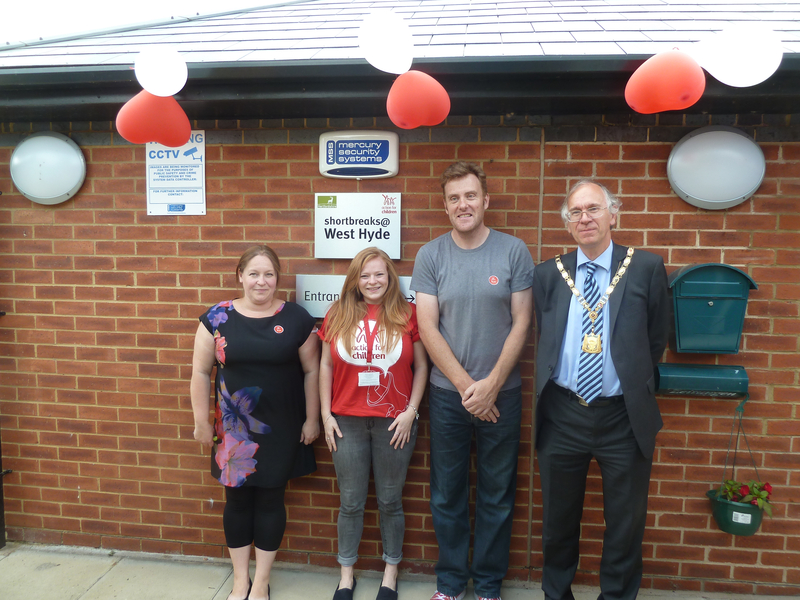 (Left to right) Emily Evans, Service Coordinator for Short Breaks at West Hyde, Emma Lawrence, Partnership Fundraiser, and Rob Wyatt, Children’s Services Manager for Hertfordshire with Three Rivers Chairman Chris Lloyd.